Strawberry Mango Pops - Eat. Drink. Love. Fantastic blog, thank so much. Looking forward to reading more. Mmm these look good! I love the popsicle forms that you have, thanks for the link for those! 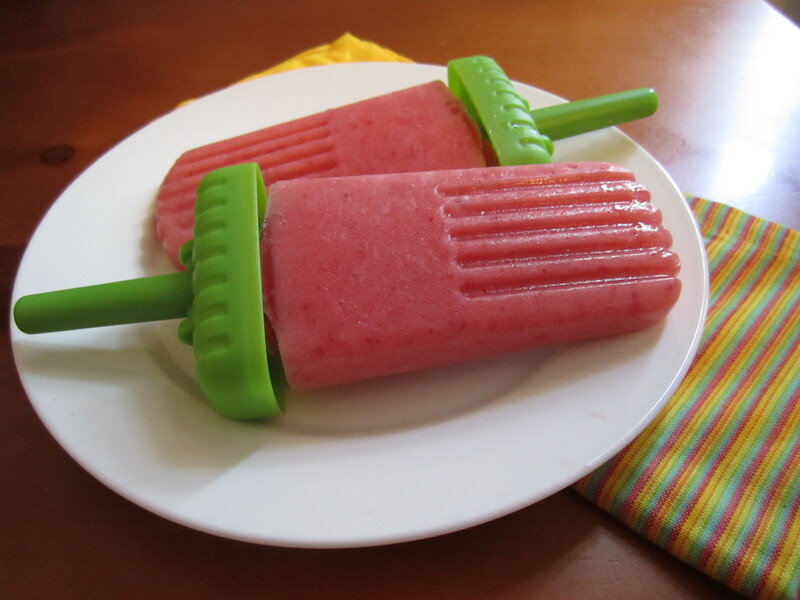 These wouldn’t last long around my house, fresh fruit pops sound utterly divine on a hot day. Can’t wait to try them myself! Thank you, Anne! I love our new molds! They make pretty big popsicles! Thank you, Kelly! They are the perfect summer treat! Thank you, Emily! That mousse looks awesome!! Strawberry and mango together – yum! The pops look amazing! I life in Florida, too….so I know what you mean about the heat! I was in Disney last week and got SOAKED! They had a good rain…so with luck, we’ll be over this drought soon! Buzzed them! Great fruit combination! 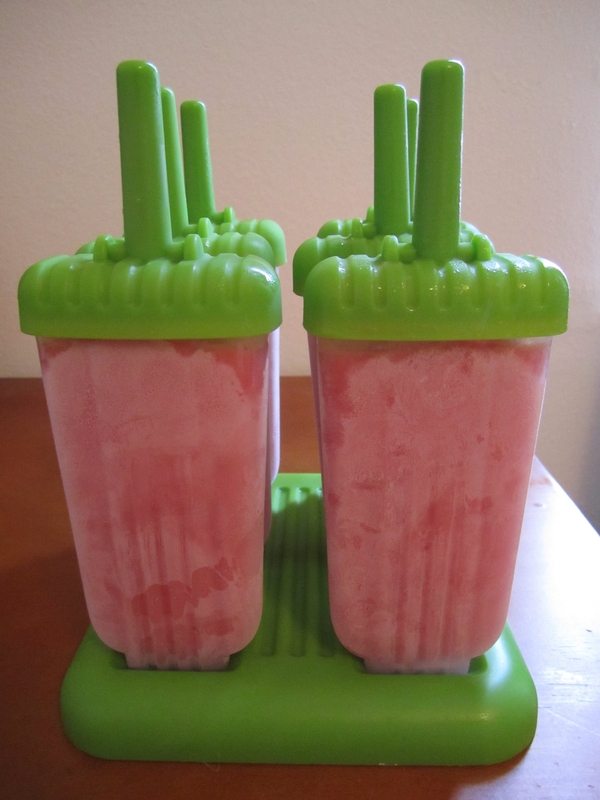 We just had Mixed Berry and Yogurt Pops Yesterday and the kids loved them http://momdecuisine.wordpress.com/category/dessert/ . I’ve got some frozen strawberries in freezer and some mango juice in the fridge. I know what me and the kiddos will be doing this afternoon :) Thanks for the post, I buzzed you! Thanks, Alyssa! I saw your post earlier too. Your pops looked so pretty! And your kids are totally adorable! !